Aspire’s BFS practice spans the broad depth of financial services that helps banks reengineer digital solutions and redesign technology platforms for superior omnichannel banking experiences. 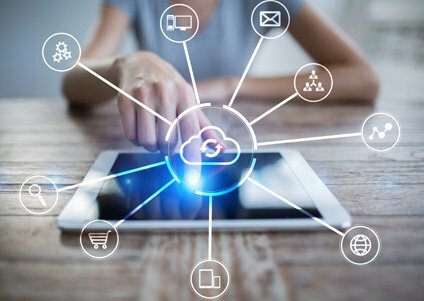 Aspire’s team of cloud experts has a unique offering called AZUREIMAGINE that translates our Microsoft Azure expertise into a wholesome suite of targeted Azure services. Unified Digital Application Platform (UDAP) is Aspire's Digital Solution Accelerator for BFS companies to build customer end facing Azure applications. Banking in the clouds with the migration of core financial services can lead to greater security and agility for banks when compared to traditional platforms. A cloud-first strategy would lead to innovations with faster time to value, no upfront capital cost, reduction in operational cost and superior customer engagement. Aspire’s UDAP accelerates time to market and reduces costs by cutting down up to 50% engineering efforts. Banks and Financial Institutions can use UDAP for superior customization, flexibility, scalability and wider choice of deployment without vendor lock-in.